Just by signing up you'll get 5GB free storage space on iCloud, but this is never enough, not to mention that you have photos, videos, app data and more to store. If you find yourself in a situation where you’ve run out of iCloud storage space, we’re here to help. We’ll show you how to delete some of this data safely so you can free up space in iCloud and not lose some of your important files in the process. Ready? Let’s get started. Let’s begin by first checking how much storage space you currently have. To do this open the Settings app on your device. 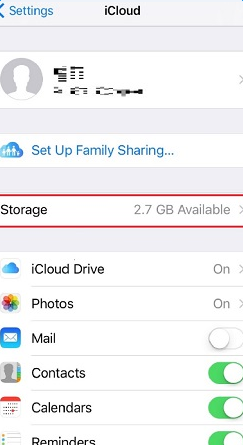 Tap on “iCloud” and look for “Storage” to see the available space in your iCloud account. If it is not adequate, read on to delete some stuff and create more space. Every iOS device can automatically backs up data on its apps to iCloud. 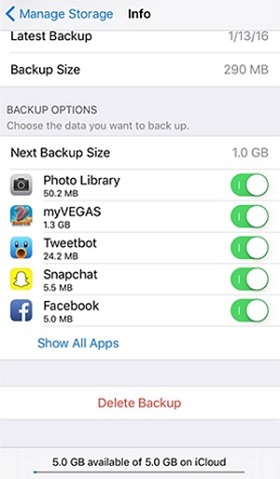 Although this is a good way to ensure you never lose the data on these apps, there are some apps that you really don’t need to include in the backup. Managing what apps need back up data to iCloud and which ones needn't is one of the ways to save some iCloud storage space. To manage iCloud backups, go to Settings > iCloud > Storage > Manage Storage. Tap on the device name and then tap “Backup Options.” Here you will see a list of all the apps that backup to iCloud. Disable the ones you don’t think need to be included. If you have an old iCloud backup that you no longer need, you can tap “Delete Backup” to remove it completely. You can also disable the automatic backup option by tapping on “Backup” on the iCloud main menu and disabling the “iCloud Backup” option. This means that your device will no longer perform automatic backing up but you can back up manually at anytime you want. Videos and Photos take up a lot of space on the iCloud Photo Library. One of the easiest ways to save space on the device is to back them up somewhere else or even delete some of them. 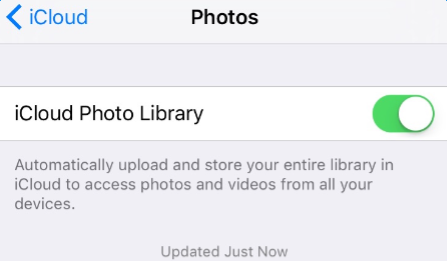 You can disable the iCloud Photo Library feature to ensure that photos and videos are not automatically backed up here by opening the “Photos” option in iCloud and disabling the option. Choose other methods to backup photos such as Dropbox or Google Photos. 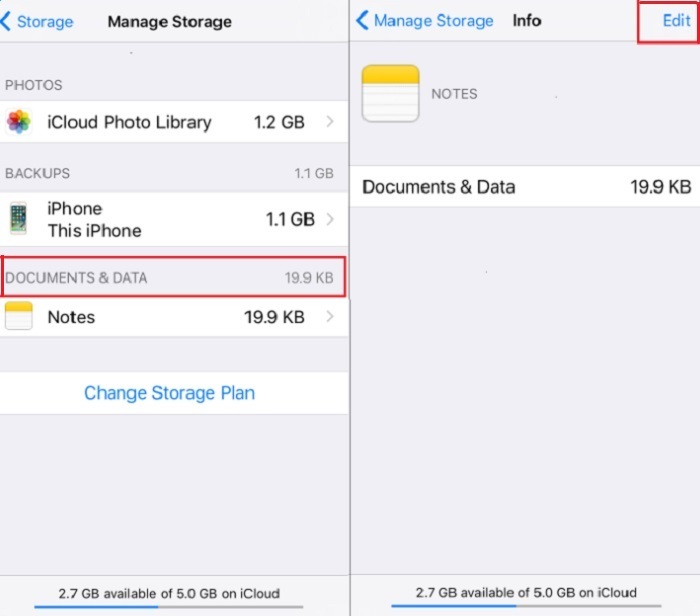 It is also possible that iCloud stores the “Documents & Data” from apps and games. This type of data is mostly unnecessary and can take up large valuable space. To delete them, tap on iCloud > Storage > Manage Storage >“Documents & Data”. Click on the file you want to cancel and then tap “Edit”. There will be the option for you to remove it from your iCloud storage. If you use iCloud Mail, the emails you send and receive also take up some of the storage space on iCloud. You can free up some space by regularly deleting some of these emails, especially those with large attachments. Just remember to empty the trash when you’re done to ensure they are really gone.